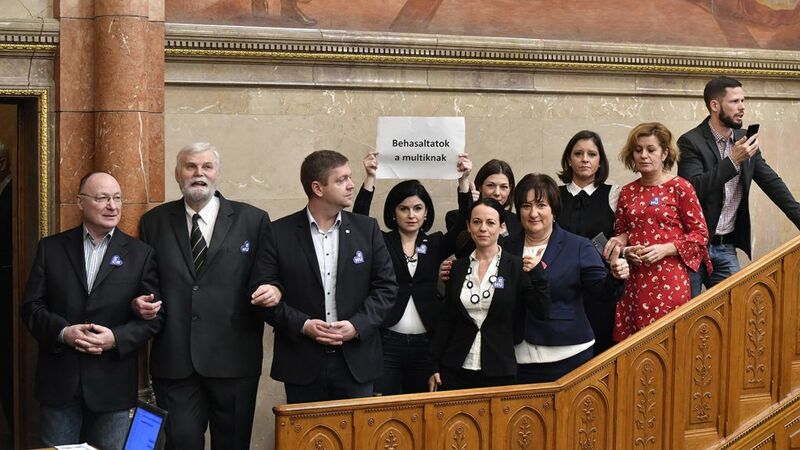 Representatives of the opposition Socialist and Parbeszed parties have protested against a fine House Speaker László Kövér has pledged to impose on them for a demonstration they staged in parliament during a vote on labour code changes in December. The house speaker applies “double standards” and made an “arbitrary” decision when he said he would deny participants in the protest one month’s salary, Párbeszéd’s Olivio Kocsis-Cake told a press conference on Tuesday. Kocsis-Cake rejected Kövér’s argument that the opposition deputies had been aggressive and violated the dignity of parliament during the December 12 vote. 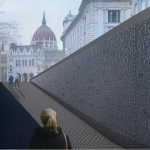 He insisted that it had been the deputy speaker chairing a previous the session, delegated by ruling Fidesz, “who violated parliament’s dignity through not allowing a debate on the slave bill”. Kocsis-Cake also announced a demonstration the two parties were planning to stage in the Castle District on Sunday, to “protest against Fidesz’s arbitrary rule”. Parliament’s house committee will discuss Kövér’s proposal on Thursday, under which 29 opposition deputies, including ones representing the Socialists, Jobbik, the Democratic Coalition, Parbeszed and the Liberal party, could lose a month’s pay for “violating the law on parliament through physical violence and threats of direct force, inciting others to violence or hindering the removal of others”. The house speaker also proposed that one third of a month’s salary should be denied to nine other deputies for “seriously violating the order of parliament”.